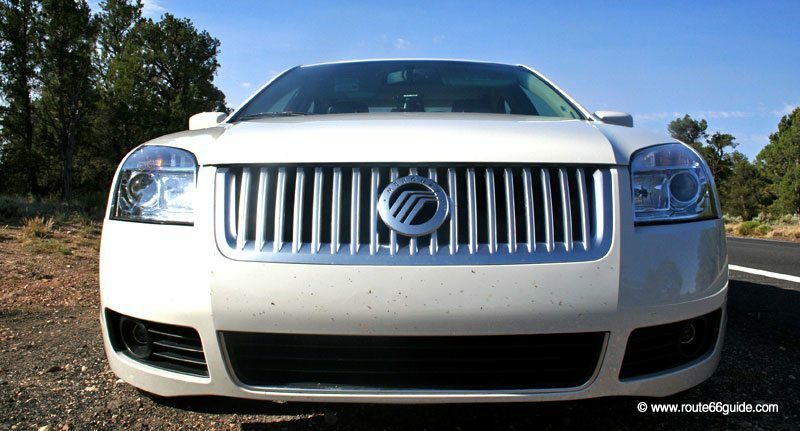 Above: A Mercury rental car in the United States. The major rental car companies are present in all major airports and cities -even mid-sized ones. You must be aged at least 21 years old to rent a car in the U.S. and have a valid license (international license is not needed). 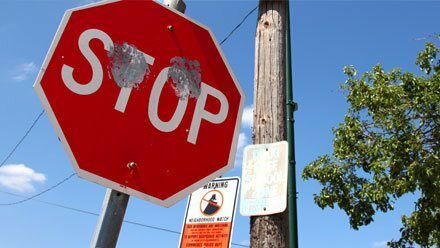 Use caution though as some renters require a minimum age of 25 years or apply a surcharge for drivers aged between 21 and 25 years. If multiple drivers intend to take the wheel in succession, do inform the rental company as you sign the contract. This option may not be cheap but it is not systematic anyway; budget thus an additional $5 to $7 per day to that end. The same legal criteria apply to other drivers who will not be routinely asked for their driver's license at the time of rental. 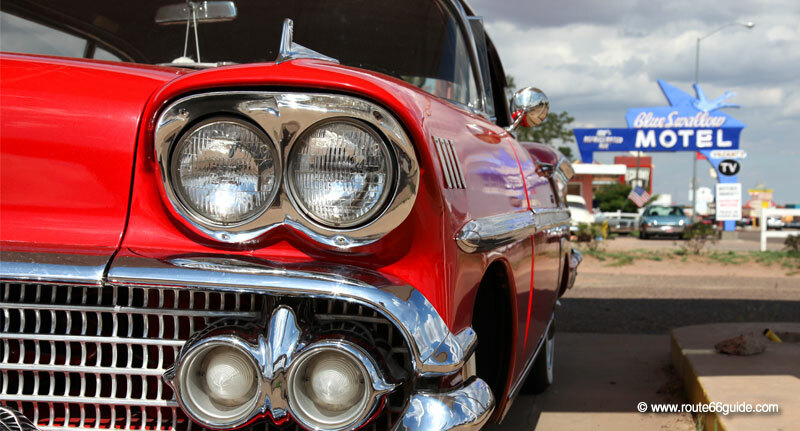 Of course, rates vary depending on the rental company, popularity of the destination, and demand, but also on the style and technical and aesthetic features of the rental car itself. Usually, rental rates start at around $30 per day for smaller vehicles ("compact" and "economy"), around $70 for convertible and sports cars and up to $150 for large vans and 4WD's (SUV). Use caution with rental packages which, although convenient, can be particularly expensive, especially if you opt for returning the rental with a full tank ... at a price per gallon higher than a traditional gas station. The GPS option is essential if you forgot your own. In this case, do not forget to buy or update the "United States" maps. The major rental companies offer the latest GPS models for rent / day. Special tip: buy your GPS directly in a U.S. specialty store at a discounted price compared to Europe. Depending on the length of your stay, purchasing a GPS may be less expensive than renting the equipment - you do the math. Above: The "Old U.S. 66" between Gardner and Dwight, Illinois. 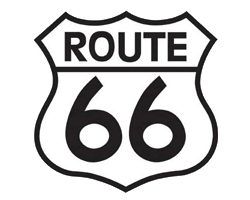 The historic route goes by many names: "Route 66", "66", "Historic Route 66" or, as here, "Old US-66." 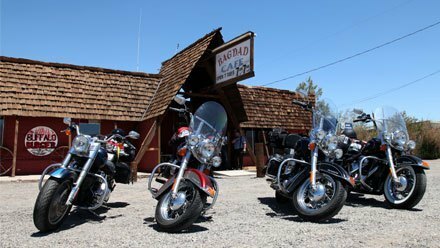 The GPS, trusted ally on your journey along the route, will prove particularly useful should you wish to follow Route 66 precisely without getting lost. Favor the major rental companies with a larger network, greater choice, a fleet of new vehicles, impeccably maintained and usually more consistent roadside assistance. In case of problems, major rental companies will repair or change the vehicle during the rental period without flinching - even in smaller cities. Smaller rental companies are only present in major cities or in certain locations, regions or states. On the upside, they can be significantly less expensive. Pre-booking online is the ideal approach. It allows comparing models and prices generally without credit card charge, which will happen later as you pick up the chosen vehicle. This convenient pre-booking option allows changing the model on site or enjoying a paid upgrade right at the rental company office. Needless to say, it is possible to book the vehicle without reservation by physically showing up at the rental company office. The downside: a longer reservation process and a narrower vehicle selection per category. On the other hand, that is a really uncommon practice. Car rental companies classify models into several categories, from the smallest to the largest (in size and engine power). The price is obviously progressive. Finally, let yourself be tempted by an American car like a sports Mustang, a Chevrolet or a massive family Dodge. You may not feel as comfortable as you would with the more familiar European or Asian brand but your "American car" will contribute to the exoticism of your road trip. American cars generally boast large interiors and trunks (except sports cars with very limited space) and a very funny series of options, such as an AC refrigerated glove box to keep your drinks chilled! Periodically check your gas consumption, as some U.S. models can be real gas guzzlers! 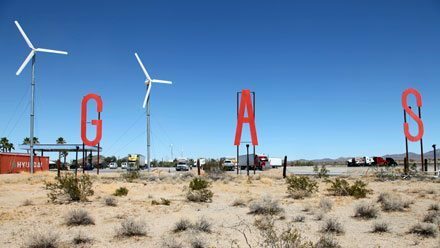 A four-wheel drive vehicle may be advisable, especially if you plan to follow the oldest Route 66 tracks whose surfacing is often gone. Some mountain passes in New Mexico, Arizona and California are only passable with such a vehicle, especially if you set out on a Route 66 winter expedition. Be advised that the gas mileage on these vehicles can be surprisingly low. Moreover, keep in mind that, provided you are not playing Indiana Jones, no SUV is required on the historic route, especially if you wisely avoid winter period when most mountain passes in New Mexico, Arizona and California are simply impassable. In the United States, almost all cars come with an automatic gearbox. Even imported European cars are modified to fit the American market. Therefore, you will only have two pedals (accelerator and brake, no clutch) and an automatic gearbox. Set it to "P" -for Park- to park or stop. Set it to "D" -for Drive- to move forward. Set it to "R" -for Reverse- to pull back. Insurance are - generally - not included in the basic daily rate. Each driver chooses whether to add insurance or not. Tip: insurance money is money well spent. Even if it can be - very – pricey. Collision Damage Waiver (CDW) or Loss Damage Waiver (LDW), both terms are used, this insurance covers damage (or theft) of the rented vehicle. In case of accident or theft, there is usually no deductible. Additional Liability Insurance (ALI) or Liability Insurance supplement (LIS), both terms are used, this additional liability insurance covers damage caused to third parties. Personal Accident Insurance (PAI), this insurance covers bodily injury (or death) of the driver and passengers. Personal Effects Protection (PEP) insures the personal items of the car occupants in case of theft. Before leaving, carefully review the insurance you already own not to double pay for it (accident, equipment, illness, repatriation, road assistance, legal protection, etc.) and their telephone numbers - international numbers - to contact them if required. Check if your private auto insurance offers coverage abroad. Your credit card may also include such insurance. The biggest rental companies offer an efficient repair service generally throughout the United States. You can also join the American association AAA, which provides the same service to its members, alongside a series of significant advantages: discounts at museums, numerous hotels and motels - sometimes your breakfast comes for free -, on car rentals, clothing, shoes, restaurants, etc. If you are a member of a similar association in your home country, it may well be that this is affiliated with AAA. In this case, you can automatically enjoy all the benefits of its American members. Inform the hotel check-in staff of this circumstance since the AAA discounts or benefits apply directly on check-in and not on booking - even though there is an AAA checkbox on the Internet. To deal with the skeptical regard of the check-in clerk on looking at your national ID card, request an international number -via phone or mail- from your local road assistance company before travelling. In general, however, nobody will ask for further evidence -e.g. your ID card. In the United States, AAA membership is widespread. 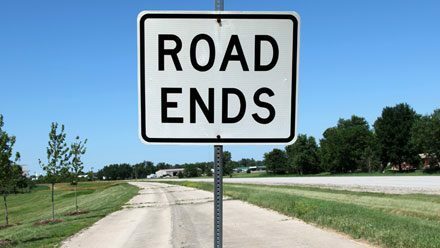 The ideal solution is to rent a car in Chicago and return it at the end of the trip in Los Angeles (or vice versa). This option, so-called drop-off, comes at a cost, which is a downright deterrent at major rental car companies. Indeed, the option costs several hundred dollars, to which you must add a domestic flight to the departure airport for your transcontinental flight back home (or change your return ticket). 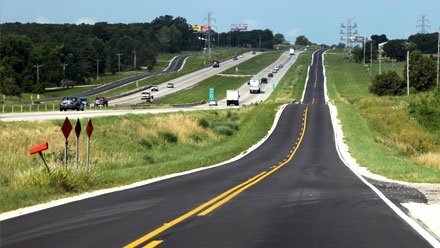 Therefore, those with time in their hands, will do Chicago - Los Angeles and back, driving mostly on the Interstates as they race back to Chicago (in this case, allow one week from Los Angeles to Chicago at a pace of 5-7 hours a day). Always inquiry about the gas mileage / gas consumption of the vehicle. Warning: here, it is expressed in miles per gallon (MPG). Conscientiously walk around the vehicle and note any damage, even the tiniest scratch. Report them to the rental company in writing before signing the contract - or amend it otherwise not to be charged as you return the car. Verify the presence of the operating manual, insurance claim reports, and other documents potentially necessary during your trip. Keep close at hand or on you the emergency phone numbers. Among others, 911 on any emergency but also those of the rental company office or AAA in case of breakdown. Double check that the vehicle carries a spare tire and tire change equipment. The rental office staff will usually provide an extremely basic road map of the surrounding area. 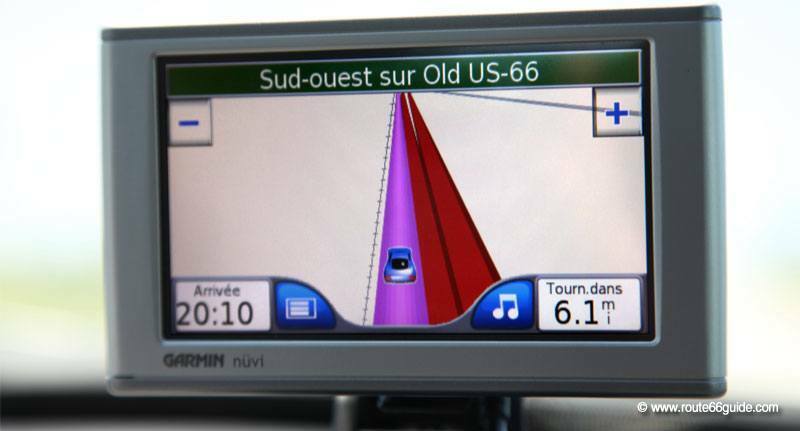 If you have decided against a GPS, consider acquiring a good map before renting the vehicle. You might find it at kiosks and bookshops of major airports. En route, the largest service stations - also called Travel Centers - offer this kind of maps. Ensure they go beyond the area you are in. Beware of convertibles and sports cars if you are traveling with lots of luggage, family or a group. The interior is often cramped and the trunk smaller than average. Before starting the vehicle, locate the following features: lights, horn, windshield wipers, trunk, fuel tank lid, central lock, as well as seat position, rearview mirror, and steering wheel-height controls. Seek advice if certain functions seem unclear. Most rental cars are now non-smoking in the United States. A penalty between $150 and $300 is charged for car cleaning if the car smells of smoke.